This is perhaps academic heresy, particularly for someone who is now at the graduate level of academics and intends to pursue a lifelong career as a teacher in American higher education. But I often have a pestering thought that some information taught to me is 1) irrelevant or 2) presented in an irrelevant way. Thus, I want to hold myself, as a student, researcher, and teacher, to the intellectual standard of relevance. 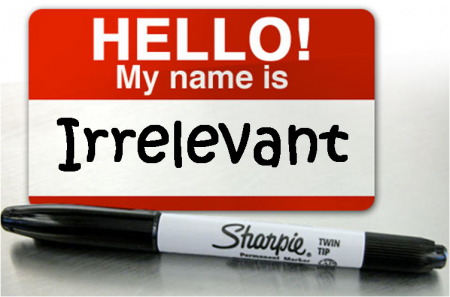 I have thought about relevance a lot recently--and ever since I was first a student in university. Irrelevance in the humanities was first brought to my attention as a freshman when I read the strident, fascinating books Who Killed Homer? and Bonfire of the Humanities. In 2008, according to the bibliography review "Year's Work in English Literature," more than 100 new scholarly books on Shakespeare were published in English world-wide. Those books, whatever brilliant new insights they provided, represent thousands of hours lost to undergraduates who really could use a good classroom course on Hamlet. [One professor] said he was going to read six (!) new books about Shakespeare this summer to prepare for his classes in the fall because "in order to be current there's a tremendous amount more research that you need to be familiar with." And these are the people who wanted to defend their salaries. But in her article Riley makes several key points, blindingly obvious yet vigorously opposed by many. If I can boil it down to one point: U.S. academia needs to seriously evaluate what it is trying to do and how it is trying to do it. 1. Relevance is not determined entirely by the academy, by faculty research interests, or by academic journals. 2. Relevance is not binary. It is a spectrum. Though some work by academics is entirely irrelevant, most is more or less relevant when compared to other work. 3. Academic relevance is essential because education is essential. 4. Irrelevance could kill academia. What We All Want...But Cannot Attain?